The Confederation of African Football (Caf) will decide the new hosts of the 2018 African Nations Championship (CHAN) on Saturday. Morocco and Equatorial Guinea have both bid to replace Kenya, who had their rights to host withdrawn by Caf due to a lack of preparation. The tournament for locally-based players only is scheduled for January. The choice will be made at an emergency Caf executive committee meeting in the Nigerian city Lagos. Ethiopia had also bid to stage the tournament but failed to make the shortlist after the government failed to provide a letter guaranteeing its support for the tournament, which Caf considers mandatory for any potential host. 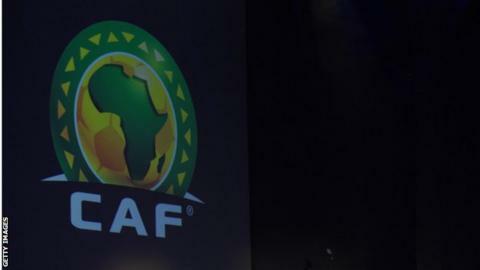 African football's ruling body had originally said a decision may have come as early as the weekend of 07-08 October. Meanwhile, during a meeting of the Africa Cup of Nations organizing committee on Wednesday, Caf president Ahmad stated that Cameroon are still set to host the 2019 finals. "At no time had any consideration been given to revisiting decisions already taken in conformity with the provisions of the Statutes and leading to the designation of Cameroon, Ivory Coast and Guinea as host country of the next three editions in 2019, 2021 and 2023," a statement read. "Our role is to best accompany Cameroon, which organizes in 2019, in a new format, to properly fill in the list of requirements of the host agreement," Ahmad said. In August, Ahmad had said that Cameroon still needed "to convince Caf of its ability to host" the 2019 Nations Cup finals given concern over insufficient preparations.